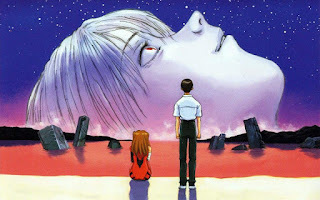 Oldtakus can rejoice: Neon Genesis Evangelion will be streaming on Netflix starting in the spring of 2019! The iconic series has been hard to find for fans who don't have access to the out-of-print and expensive DVD set. The last release on DVD was back in 2002. Hopefully Netflix has access to the remastered version of the show as it had a Blu-ray release in Japan. The films End of Evangelion and Evangelion (True)2 will be available as well.